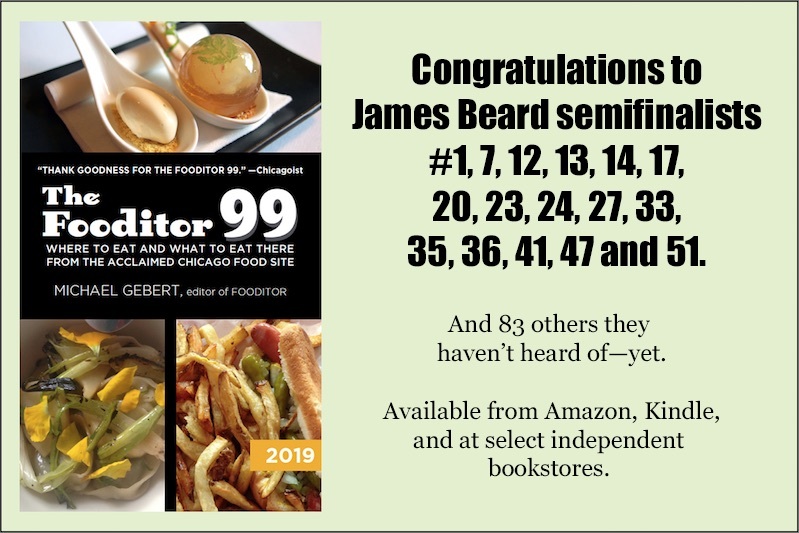 And if you like getting my suggestions for where to eat all over the city, check out The Fooditor 99—though I will point out that the 2018 edition currently available at Amazon will be updated later this year (in time for holiday giving). What it is: On the list for the first time, a former suburb on the economically disadvantaged west side with several sites trying to make new use of buildings from past eras. What to see: Catholic Charities’ peace center in the 1913 Austin State Bank building, the freshly restored modernist Catalyst Circle Rock school, the Austin Town Hall Cultural Center (which was actually Cicero’s town hall when Austin was part of it), modeled on Philadelphia’s Independence Hall, and churches including Assumption Greek Orthodox Church. • Flavors Southern Cooking, 5721 W. Division. Homey, welcoming soul food sit-down restaurant specializing in fried chicken, pork chops and classic sides. • 3-D’s Jerk Chicken, 5317 W. North. Arguably the standout in a jerk chicken-rich part of town. • Macarthur’s, 5412 W. Madison. Venerable west side soul food institution—every Chicago politician you’ve ever heard of has his picture on the wall somewhere. Fried chicken, smothered pork chops, and don’t miss caramel cake (from Brown Sugar Bakery) and banana pudding for dessert. What it is: Less well defined than hot Logan Square next to it, Avondale is a traditional Polish and industrial neighborhood turned up and coming restaurant hotspot, as shown by the fact that two of the four locations this year are beverage-related. 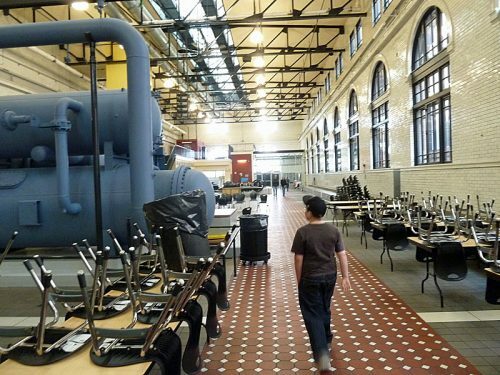 What to see: Metropolis Coffee and Revolution Brewing both have locations on the list, but the coolest thing to check out is Pumping Station One, a cooperative maker space. • Honey Butter Fried Chicken, 3361 N. Elston. Locally beloved hipster fried chicken spot with a fast-moving line out the doors most days; if the weather is nice, head for the patio. • Taqueria Mazamitla, 3610 W. Belmont. Very good Mexican family restaurant. 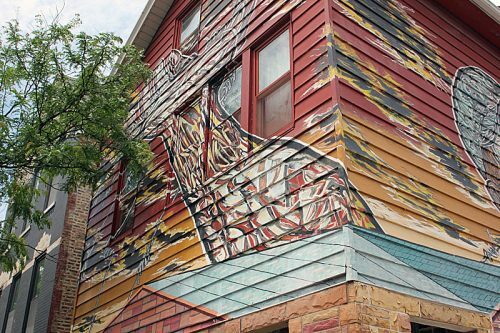 • Moonlight Vulture, 2889 N. Milwaukee. Arty little vegan (almost; there’s some cheese and seafood) cafe. What it is: Historically, the rough and tumble neighborhood occupied by stockyard workers, now finding a second life as a food business incubator. Formerly lumped in with Bridgeport on the Open House Chicago list, Back of the Yards spins off with three sites related to food and drink production. 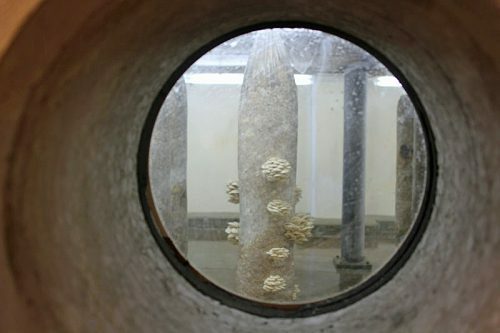 What to see: The Plant, a whole building devoted to self-sustaining food production, Whiner Beer (located in The Plant) and Testa Produce (RSVP required)—plus St. Joseph Roman Catholic Church. • Back of The Yards Coffeehouse and Roastery, 2059 W. 47th. Neighborhood-focused coffeehouse. • Cafeteria Yesenia, 4244 S. Ashland. Friendly spot for coffee and Cuban sandwiches. • Stanley’s Tavern, 4258 S. Ashland. NOTE: My friend Catherine Lambrecht alerts me that Stanley’s is not open on weekends. But I’m leaving it here because it is so historic for the neighborhood—and you might want to check it out some other time. Though the current building is only a few decades old, this family has had this old school Polish tavern since 1935—and owner Wanda Kurek has been working there the entire time, still making Polish dishes from scratch in her 90s (though if you want those, go early, they run out fast). What it is: On the list for the first time, a suburb-like neighborhood at the city’s far southern end with a relaxed 1950s feel (and a remarkably successful record of integration without social strife). What to see: Beverly’s most famous landmark, the Givins Castle; Optimo hat factory; and the Wild Blossom Meadery and Winery. • Top Notch Beef Burgers, 2116 W. 95th St. Burger restaurant dating back to the 1940s with beef ground in house, fries fried in lard and chocolate milkshakes—all sublime. • Calabria Imports, 1905 W. 103rd St. Italian deli and shop with a fine eggplant parm sandwich, among others. • Fox’s Restaurant & Pub, 9956 S. Western. Vintage 1960s-era neon sign sums up this pizza place with classic Chicago thin crust pizza. What it is: Traditional power base of Irish Chicago (but home to Lithuanians and many other groups back in the day), now a fast-rising real estate market. 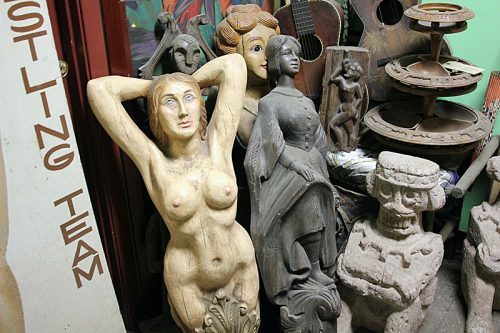 What to see: The funkiest site on the whole list has to be Zap Props, whose jumbled warehouse of old stuff supplies period detail to Hollywood and restaurants alike; go early as they only take a few at a time inside. Also the Chicago Maritime Museum, and the Ling Shen Ching Tze Buddhist Temple. • The Duck Inn, 2701 S. Eleanor. Retro-flavored gastropub and tavern with deep Bridgeport-Irish roots. • Fabulous Freddie’s Italian Eatery, 701 W. 31st. From Italian beef to breaded steak to slices of deep dish, all your South Side blue collar food classics in a friendly, busy spot. What it is: The traditional center of African-American Chicago. 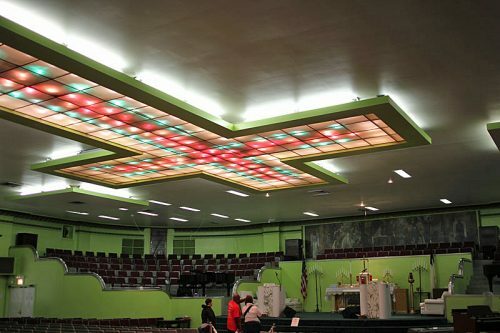 What to see: Historic black churches including the Streamline Moderne First Church of Deliverance, some IIT buildings including Carr Chapel (Mies’ “God Box”), the Frank Lloyd Wright-designed NEIU Carruthers Center for Inner City Studies, and the newly restored Rosenwald Apartments. • Peach’s Place, 4652 S. King Drive. Soul food breakfast and lunch spot with good southern dishes. • Yassa African Restaurant, 3511 S. Martin Luther King Dr. Enjoy yassa chicken and djolof rice at this Senegalese restaurant. • Ms. Biscuit, 5431 S. Wabash. Soul food breakfast/brunch spot with, as you would expect, great biscuits. What it is: In the 1920s, it was Chicago’s answer to Miami Beach—swanky hotels and apartments and the upscale businesses that served their residents. What to see: 1920s Chicago comes alive at the Edgewater Beach apartments and a few vintage mansions, including Sacred Heart Schools’ Driehaus Center and the George Maher-designed Colvin House—which has been renovated as a co-working space. • DAK, 1104 W. Granville. Chicken wings and other simple, tasty Korean dishes. • The Growling Rabbit, 5938 N. Broadway. Busy yet laid back breakfast/brunch spot with imaginative takes on classic items. • Little Saigon Baguette, 5251 N. Broadway. Very authentic Vietnamese banh mi (sandwich) shop. What it is: Once the commercial center of African-American Chicago, Englewood will show a couple of sites that are part of efforts to revitalize the neighborhood. 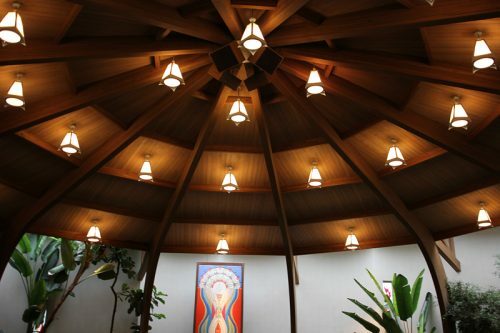 What to see: The modernist St. Benedict the African church; Growing Home’s Wood Street Farm. • Kusanya Cafe, 825 W. 69th. Coffeeshop and sandwich cafe with punny names (“Tuna Turner”). • Garifuna Flava, 2518 W. 63rd. Jerk chicken place representing the flavors of a little-known Caribbean subgroup. • Cutie Pie’s Kitchen, 752 W. 78th. Mostly takeout soul food spot. What it is: Historic suburb that’s home to Northwestern University. What to see: Some churches, and many Northwestern buildings including the Alice Millar Chapel with its spectacular stained glass, the Dearborn Observatory, and the psychedelic-Gothic Levere Memorial Temple, headquarters of the SAE fraternity—don’t miss the murals of dwarfs (the Snow White kind) engaged in all kinds of collegiate fun in the basement rathskeller. • Edzo’s Burger Shop, 1571 Sherman. Much-beloved burger joint. • Cupitol, 812 Grove. Former site of the notorious Keg, where you couldn’t get in without a fake ID, now a chic coffee and sandwich place with excellent housemade croissants. • 10Q Chicken, 816 Church St. A chicken sandwich spot from the owners of BopNGrill. What it is: African American community has some spectacular vintage sites within a disadvantaged area with signs of redevelopment. 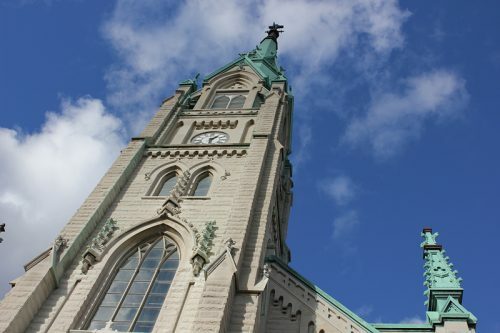 What to see: Churches including the enormous Our Lady of Sorrows Basilica (which is where Sean Connery first told Kevin Costner about the Chicago way), and the Great Lakes Yard, which supplies recovered lumber. • Jerk Taco Man, 4001 W. Jackson. Jerk chicken and steak tacos, the permanent location of a popular food truck. • Al’s Under the L, 2908 W. Lake. One of the city’s oldest and certainly lowest-frills hot dog and burger stands. • Inspiration Kitchens, 3504 W. Lake. Soul food and Cajun-flavored west side outpost of the organization that trains the homeless to become cooks and servers. What it is: Wealthy lake shore enclave, very ecumenical in its churches and in mansions turned into museums. What to see: Vintage mansions from the late 19th and early 20th century, such as the one housing The Palette & Chisel Academy of Fine Art, where Lorado Taft taught society ladies, or the one that’s now the Polish consulate, plus numerous churches. 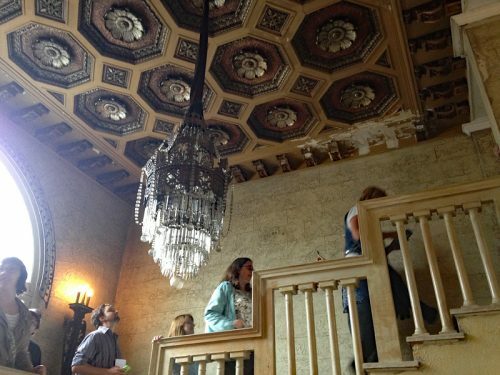 This year adds the Driehaus Museum, a spectacular restoration that is normally a very pricy tour. • 3 Arts Club Cafe, 1300 N. Dearborn. As spectacular as any building on the tour, this society women’s club turned Restoration Hardware outlet has a stunning cafe from restaurateur Brendan Sodikoff. • The Glunz Tavern, 1202 N. Wells. German-American restaurant filled with memorabilia and furnishings from past German establishments and the Glunz family’s liquor business. • Maple & Ash, 8 W. Maple. You don’t have to drop a wad at this steakhouse evoking midcentury Gold Coast glitz—stick to the bars (one as you walk in, another on the top floor) and you can savor the atmosphere while ordering more modestly. What it is: The home base of the University of Chicago. What to see: Few U of C sites apart from Rockefeller Chapel this year, but the newly restored Hyde Park Bank & Trust, with its spectacular 2nd floor lobby, and the striking new Solstice Tower from Jeanne Gang are exciting additions. • The Promontory, 5311 S. Lake Park Avenue West. Impressive bar, restaurant and music venue complex from the same group as Longman & Eagle and Dusek’s. • Nella Pizza e Pasta, 1125 E. 55th. Authentic Neapolitan pizza from the woman who helped open Spacca Napoli. • Plein Air Cafe & Eatery, 5751 S. Woodlawn. Pleasant cafe with light lunches and a view of Frank Lloyd Wright’s Robie House. What it is: Affluent housing area on the lake front, mostly dating to around the 1920s. What to see: The soaring St. Alphonsus, the Salvation Army college at Broadway and Addison, and a B&B with a secret bar underneath. • Crisp, 2940 N. Broadway. Korean chicken wings and other tasty Asian things. • Tango Sur, 3763 N. Southport. Reasonably priced Argentine steakhouse which grew out of the market next door (and where, if you just want a light lunch, you can still grab a couple of empanadas to go). • Zizi’s Cafe, 2825 N. Sheffield. Very friendly Turkish restaurant with fresh-baked bread. What it is: Another affluent housing area on the lake front, a little older than Lakeview. 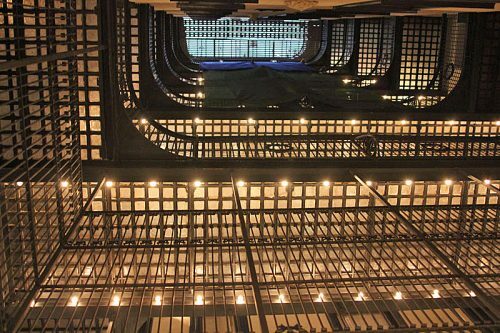 What to see: Lincoln Park’s short list includes several churches, the shrine of Mother Cabrini, as well as the Romanesque Revival Brewster Building apartments from 1893, with its metal and glass catwalks. • The Gundis, 2909 N. Clark. Kurdish cafe offering shawarma sandwiches and other central Asian specialties. • Del Seoul, 2569 N. Clark. The L.A. Korean taco craze came to Chicago at this place, and they’re pretty good. • RJ Grunt’s, 2056 N. Lincoln Park West. Okay, interesting isn’t exactly the word for the food at the original Lettuce Entertain You restaurant, by modern standards it’s standard fare, but it remains a perfect time capsule of early 70s dining, from the jokey menu and photos of the hippie-chick waitresses on the walls to Chicago’s first salad bar. Can we get a landmark designation already? What it is: Repurposed factory buildings and a German heritage brought back to life in new businesses. 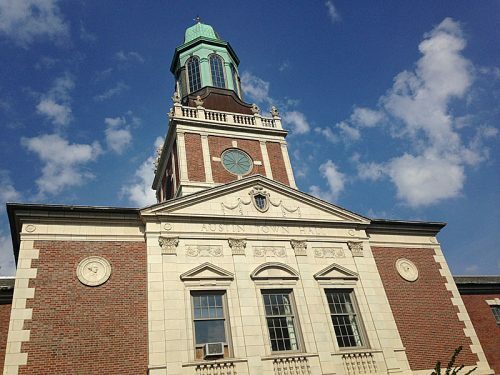 What to see: Koval Distillery, the DANK Haus, and one of Chicago’s few wood frame churches, All Saints Episcopal. • Baker Miller, 4655 N. Lincoln. New and improved location for the inventive bakery and coffeeshop. • River Valley Farmer’s Table, 1820 W. Wilson. Farm to table sandwiches and salads from the people you see selling mushrooms and jarred goods at the farmers markets. • Luella’s Southern Kitchen, 4609 N Lincoln. 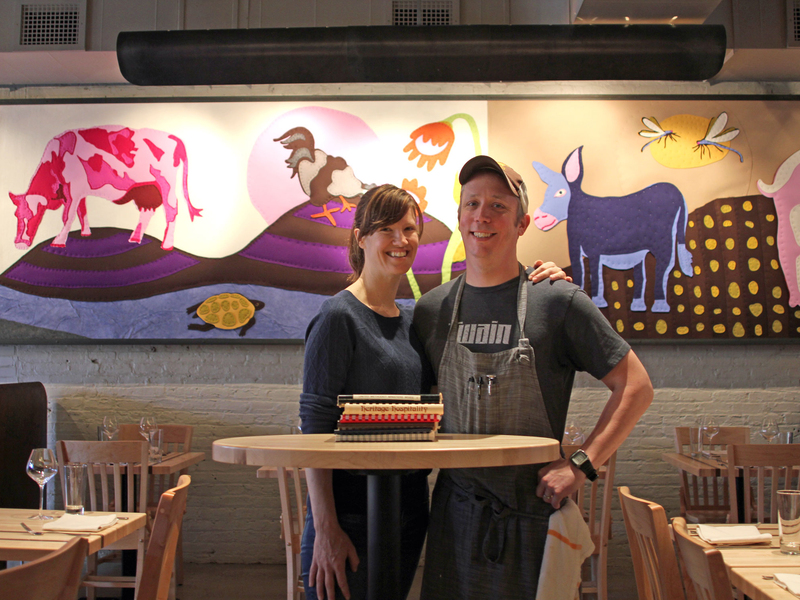 Upscale takes on southern comfort food. What it is: One of the city’s hottest restaurant neighborhoods mixes survivors of old Norwegian and Polish Chicago with repurposed buildings. What to see: The Aloft Circus Arts building in an old church, and other churches around it such as the Norwegian Minnekirken. • Revolution Brewing, 2323 N Milwaukee. Their new brewing facility is on the tour (under Avondale); relax with their popular beers and pub food in the original Logan Square brewpub. • Lula Cafe, 2537 N. Kedzie. Farm to table cafe has long been a hub of the neighborhood, located as it is in the towering Logan Square Auditorium building (which is on the tour). • The Radler, 2375 N. Milwaukee. German sausages in a beer hall close to tour stop Chicago Distilling. What it is: Little-known community making some reuse of 1890s structures, when it was a new suburb reached by rail. What to see: The Morgan Park Academy Alumni Hall, once part of a military boarding school; the antiques-filled Ingersoll-Blackwelder house from 1874. • Global Kitchen, 11722 S. Western. Friendly, homey cafe. • Manzo’s Burger, 2353 W. 111th. Above average burger joint run by a cheerful Mexican family. • Ellie’s Cafe, 10701 S. Hale Ave. Another friendly cafe with nice breakfast and lunch choices. What it is: Industrial and food market area that’s become a tech and startup center and a hot restaurant row, stretching down to the UIC area. 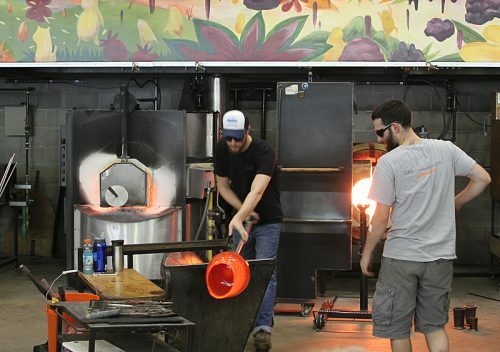 What to see: The toy-filled headquarters of Big Monster Toys (Saturday only), who concept new toys for kids and grownups; glassblowing at Ignite Glass Studios; the twice-restored St. Basil Greek Orthodox Church; and so far as I know the first police station ever on the tour—UIC’s, in an 1888 Daniel Burnham building originally built for the CPD. 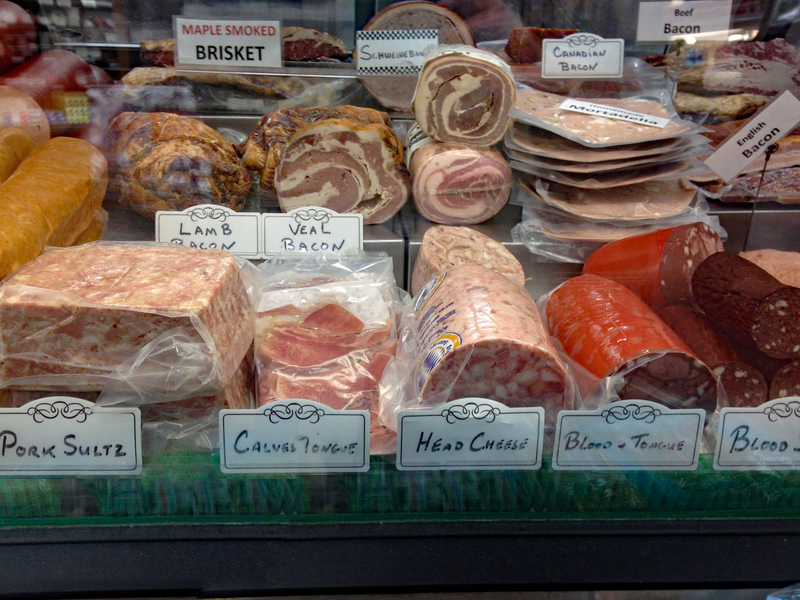 • Publican Quality Meats, 825 W. Fulton Market. Sandwiches and a few other things (like the hearty ribollita soup) in this spinoff from the fancier spot next door. • Bonci, 161 N. Sangamon. Exotic pizza by the slice, from a burgeoning chain whose original location is in Rome. • Chilango Mexican Street Food, 1437 W. Taylor. Tasty little hole in the wall near UIC area. What it is: An old industrial area, home to Sears and populated by Eastern European Jewish immigrants, now largely African-American and the site of various efforts to reuse its buildings. What to see: The remaining Sears buildings (the tower and the power house, now a technology high school), Lagunitas’ massive, high tech brewery, and Stone Temple Baptist Church, a 1920s synagogue where Martin Luther King Jr. spoke many times. • Dave’s Red Hots, 3422 W. Roosevelt Rd. A truly vintage hot dog stand, seemingly unchanged since the neighborhood was Jewish in the 20s and 30s. What it is: The closest suburb straight west has many fine churches and homes. What to see: Obviously Frank Lloyd Wright is a focus here, with his studio, though just as impressive is a stunning house by his Arts & Crafts-ish contemporary George Maher, Pleasant House, as well as the very attractive Oak Park Art League and the ornate St. Edmund Roman Catholic Church. • Spilt Milk, 103 S. Oak Park Ave. Pies, both sweet and savory, from a baker who worked at Blackbird and Hoosier Mama. • Maya Del Sol, 144 S. Oak Park Ave. Nice upscale Mexican cafe. • Lola Tining’s Cuisine, 1141 Garfield St. Tasty range of Filipino specialties. Thanks to David Hammond for suggestions! 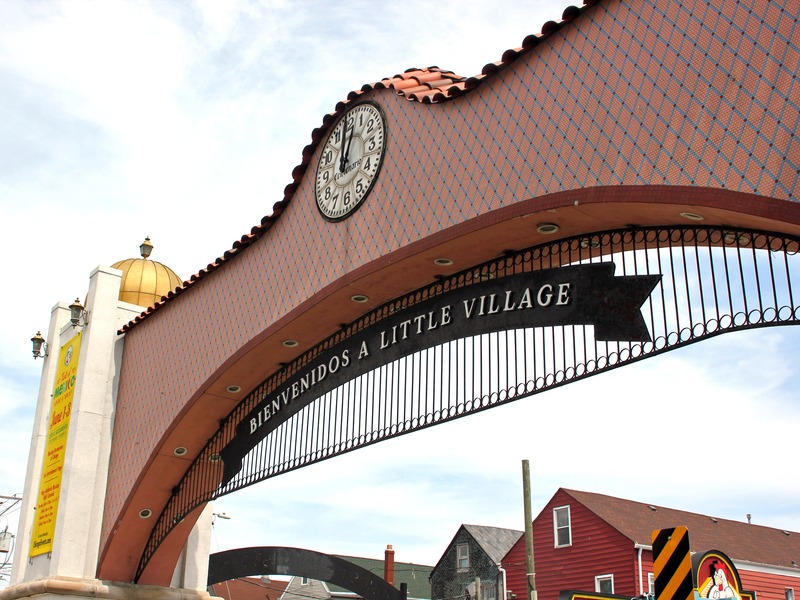 What it is: Mexican neighborhood with a Czech heritage, and lots of Mexican food to sample. What to see: Just four locations, including the Hector Duarte art studio with its mural exterior and St. Paul Roman Catholic Church. • 5 Rabanitos, 1758 W. 18th. Excellent family-run Mexican restaurant (the dad had experience in Rick Bayless’ restaurants), serving top tamales, tacos and other dishes. • Pollo Express, 1315 W. 18th. Char-grilled chicken joint, you’ll smell it a block away. • Ca Phe Da, 1800 S. Carpenter. The more informal side of the Vietnamese restaurant HaiSous offers delicious coffees and simple, tasty rice dishes. What it is: The original getaway from downtown for the wealthy in Chicago, with some beautiful houses on Prairie Avenue (when they weren’t torn down long ago). What to see: A feast for old house fans, including the city’s oldest house (the Clarke House Museum), the Romanesque Glessner house, and the Second Empire-style Wheeler Mansion. • Cai, 2100 S. Archer Ave., Suite 2F (upper level). Busy, popular dim sum place in the Chinatown mall on Archer. • Slurp Slurp Noodles, 2247 S. Wentworth. How do you like your noodles, hand-pulled or handcut? Get them either way in soups or stir fries here. • Richland Center, 2002 S. Wentworth. Downstairs food court with a variety of stands offering everything from dumplings to grilled skewers; see this Fooditor Guide. What it is: African-American neighborhood long in the shadow of the steelworks. What to see: Shortened list this year, but one fun stop is WGN Flag & Decorating Co., maker of giant flags. • 5 Loaves Eatery, 405 E. 75th. Charming breakfast/soul food spot for things like chicken and waffles. • Lem’s Bar-B-Q, 311 E. 75th. The city’s oldest barbecue spot, cooking up rib tips and hot links in a vinegary sauce. Take-out only. • Soul Vegetarian East, 205 E. 75th. Tasty vegetarian choices covering a lot of different types of cuisines. What it is: Ukrainian enclave is gentrifying, but its immigrant character is still plainly visible. 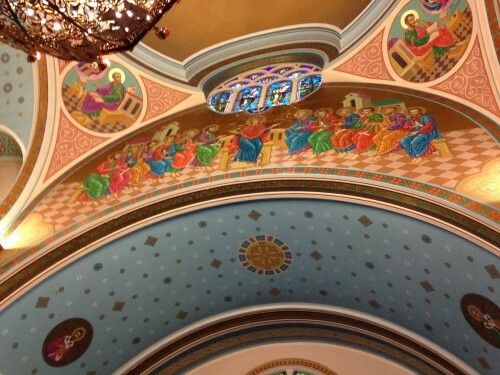 What to see: The spectacular Ukrainian churches, including Louis Sullivan’s Holy Trinity Russian Orthodox Cathedral (the smallest but most harmonious of the bunch), plus the Ukrainian Institute of Modern Art. • Shokolad, 2524 W. Chicago. Ukrainian dishes with an emphasis on dessert crepes. • Ann’s Bakery & Deli, 2158 W. Chicago. Eastern European baked goods and prepared foods. • Whisk, 2018 W. Chicago. Funky breakfast place with a decorating thing for Ron Swanson. 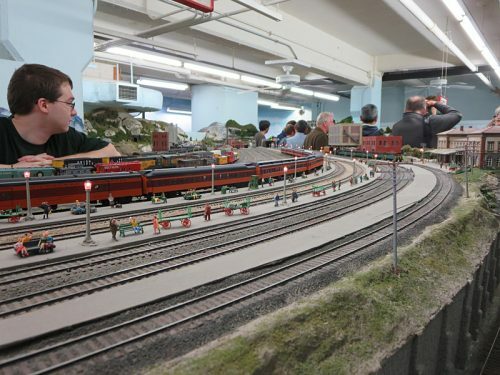 What to see: The newly restored Lawrence House with its vaulted-ceiling bar, a Buddhist temple, and the Garfield-Clarendon Model Railroad club in the park fieldhouse. • It may not have any historic buildings, dating only to the 1970s, but the north side Asian district on and near Argyle street includes a number of outstanding restaurants, including Sun Wah (5041 N. Broadway) for Hong Kong style BBQ pork and duck, Ba Le (5014 N. Broadway) for banh mi sandwiches, Chiu Quon Bakery (1127 W. Argyle) for pastries and BBQ pork buns, Pho 777 (1065 W. Argyle) for Vietnamese soup, and Immm Rice and Beyond (4949 N. Broadway) for authentic Thai food (see this Fooditor guide). What it is: Signs of redevelopment near the University of Chicago. What to see: Two recent projects, the XS Tennis Village on the land of the Robert Taylor Homes and the just-built UChicago Green Line Performing Arts Center. Where to eat: A bit sparse, but I can recommend soul food takeout from Miss Lee’s Good Food, 203 E. Garfield Blvd. Otherwise very close to the listings for Bronzeville or Hyde Park. What it is: A diverse, mostly residential neighborhood on the north side. 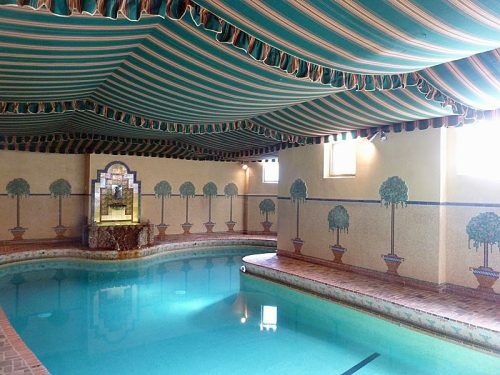 What to see: The charming, hidden swimming pools inside the Park Castle and Park Gables condo buildings; a water treatment facility. • Khan BBQ, 2401 W. Devon. Grilled meats Pakistani-style. • Taza Bakery, 3100 W. Devon. Shawarma and savory hand pies with middle eastern flavors. • Larsa’s Mediterranean Restaurant, 3146 W. Touhy. Turkish sandwiches and wraps. What it is: A Polish neighborhood, an industrial neighborhood, a rapidly gentrifying neighborhood. 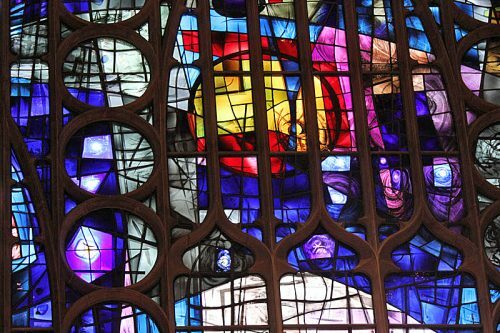 What to see: A host of Polish Catholic churches, sculptor Jerzy Kenar’s studio and that big concrete factory you pass going west on Chicago. • Boeufhaus, 1012 N. Western Ave. Neighborhood steakhouse has a hearty menu of well-crafted sandwiches at lunch, as well as outstanding French onion soup. • Papa’s Cache Sabroso, 2517 W. Division. Puerto Rican restaurant specializing in roast chicken and pork, also does an excellent jibarito. • Podhalanka, 1549 W. Division. The last full-fledged Polish restaurant in the area, Podhalanka serves hearty, homey Polish food—though the old style hospitality has been known to become upselling, so make sure you want what’s being ordered for you. What it is: The area just south of the University of Chicago, future home to the Obama Library (not on the tour). 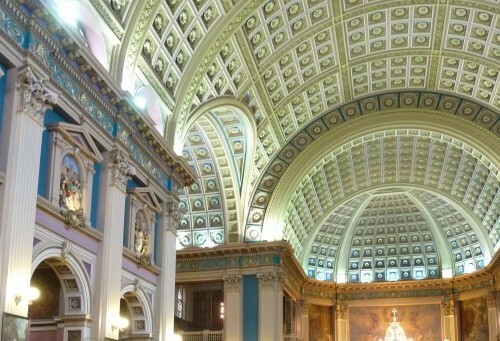 What to see: Mostly churches, including the Shrine of Christ the King which is coming back impressively as a restored ruin after a 2015 fire; plus the Art Deco Cinderella ballroom. • Daley’s Restaurant, 809 E. 63rd. Diner and soul food restaurant is one of the oldest restaurants in the city, dating to at least the early 1900s (though this location is a bit more recent). • The Slab Bar-B-Q, 1918 E. 71st. New barbecue spot, takeout only, cooking in the classic south side style. • Wesley’s Momma Made Burgers, 6658 S. Cottage Grove. Okay, I actually haven’t been there, but with a name like that, how could it not be 1) great 2) exactly what it sounds like? 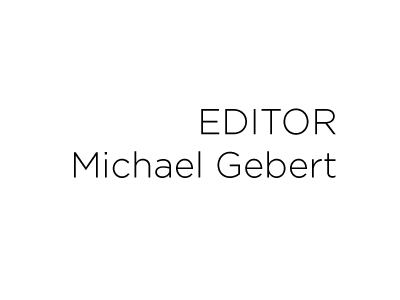 Michael Gebert is the adaptively reused editor of Fooditor. He adaptively reused some of last year’s text and pictures, too.